As a partner of the companies, Melissa is a Registered Representative, having passed the Series 6, 7, 63, and 66 Examinations. As a Certified Public Accountant, she provides accounting and tax services through the firm of Lisch & Lisch LLC. Prior to joining the Lisch Family of Businesses, Melissa was a manager in the Personal Financial Services Practice at PricewaterhouseCoopers LLP. During her eight years experience at PricewaterhouseCoopers LLP, she was involved in the audits of entertainment and media companies and tax preparation and consulting for individuals and closely held businesses. 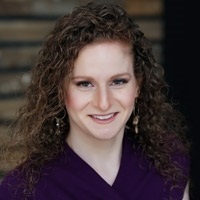 Melissa holds a Bachelor of Science degree in Accounting and Finance from Lehigh University and spent a year studying international economics and corporate finance at the London School of Economics in London, England. She is a member of the American Institute of Certified Public Accountants and the New Jersey Society of Certified Public Accountants. Outside of the office, Melissa enjoys yoga, indoor cycling and spending time with her husband and young children.